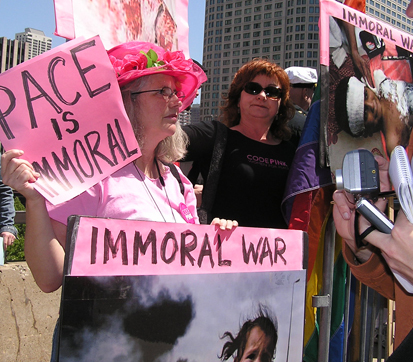 Gays and allies picketed outside a Chicago appearance by Gen. Pace after his comments against gays in the military. This May 19, 2007 protest attracted a few dozen people to downtown Chicago. Photos by Tracy Baim.